Hot on the heels of a record female congress, I wanted to talk about a seed investment we quietly made earlier this year. It's the first investment I've ever led that's the result of a cold inbound email in response to a blog post. In this case a post about our digitally-native vertical brand (DNVB) thesis. 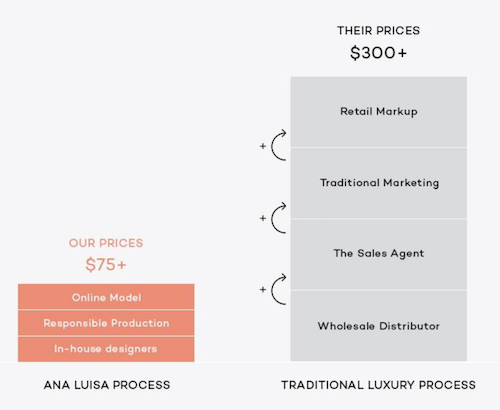 Ana Luisa makes direct-to-consumer jewelry that is purposefully inclusive, empowering, and accessible. High-quality pieces like these mini 14K solid gold hoop earrings start at just $65. I'm a sucker for value, but even more so for brands that are starting to have equitable, conversational relationships with their customers. And that are using their business to promote a particular view of the world. Ana Luisa encapsulates this in their tagline: jewelry for womankind. From their commitment to responsible production, exceptional craftsmanship, commitment to quality, and transparent pricing (read more here), they're on to something big. Did you know that high-fashion jewelry is marked up 10-15x on production cost? But even more than that I'm looking forward to the customer stories, the non-profit partnerships helping a diverse set of incredible women, and more product that explores the many facets of femininity and its modern interpretations. From a venture perspective, backing a narrow vertical brand in a single market can be a tough proposition. 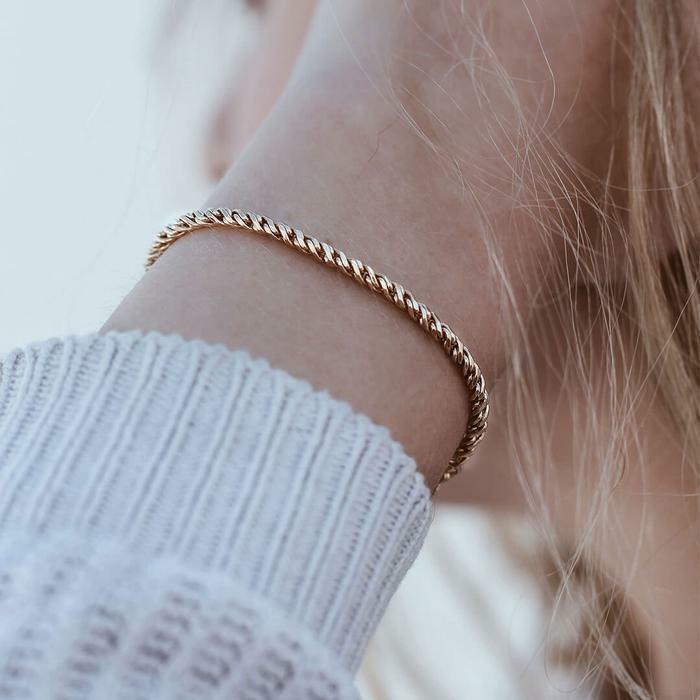 What really excited us here was that customers are buying for themselves (most jewelry is gifting), they're returning in record numbers after a short period of time, and are telling their friends about the brand. Retention and referral are the key hallmarks of building a passionate community of customers that can be the basis for a very large company. It doesn't hurt that jewelry, while intensely competitive, is massive global market. Fashion jewelry alone is $9.4 billion, while adding bridge jewelry makes it $20 billion in annual value. And it is growing at >10% per annum. So check Ana Luisa out - the discount code WELCOME15 gives you 15% off orders over $80 and the company ships globally. P.S. This is our first co-investment with Eutopia, the former consumer brand investment team of Otium. Really thrilled to be partnering with them. Done and done. Wifey gifting made easy.